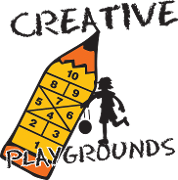 Creative Playgrounds is proud to design and paint special games for kids. Our foursquare designs are made to accommodate children of all ages. 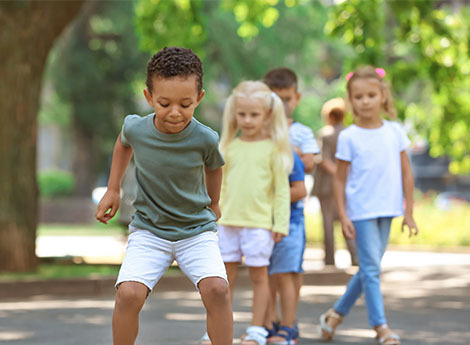 Our hopscotch games are child-friendly in size and feature artwork including pencils, snails, ice cream cones, and rocket ships. We include picture frames for chalk art and circle games to add variety. Math and language arts are incorporated into our games, with creative use of numbers and the alphabet. We also paint mini-hockey arenas, basketball keys with friendly three-point arcs, and wall ball courts. All of our games and prices are available following a site visit. Contact us today for a free estimate.